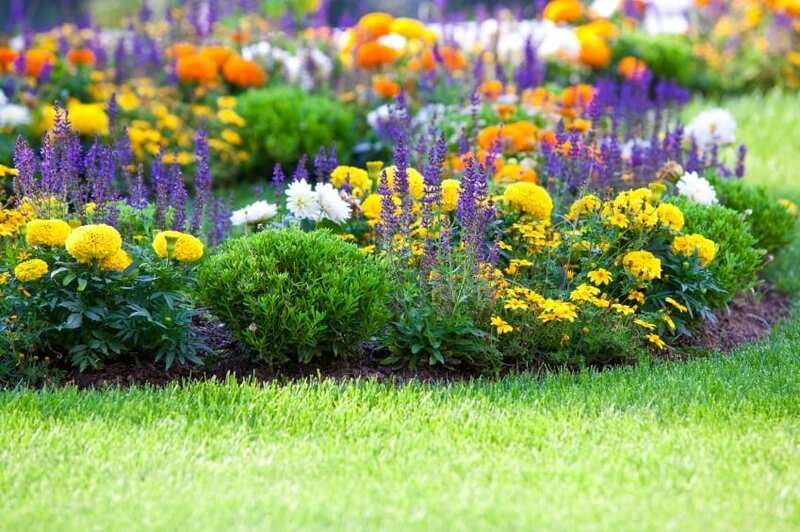 When it comes to starting up a garden, most people start in spring. At that time, it’s the season to buy perennials! They’re on sale at almost every store that has a garden center, and they’re really affordable. So how can you choose from the list of the dozens of perennials, and how do you know whether they’re going to do well in your area? First, learn which gardening zone you’re in, from zone 1 to zone 11. Second, check out these ten best perennials for your home garden, and see whether you should be bringing these home tomorrow! The favorites of bees and butterflies, this plant is sure to capture the attention of the surrounding insects in the best way. Having some lavender plants in your garden will help your plants pollinate properly, giving them bigger and better blooms throughout the year. A popular and easy to care for plant, this one is incredibly affordable, easy to plant, and beautiful cones of flowers. They’re not fussy and won’t require a lot of care, and will continue through the years as a great flowering plant. These flowers are definitely hard to forget! Darling little blue flowers create a carpet of beauty in your yard, and while they may not be great for bouquets, they’re great for adding color! These popular flowers are tough as nails when it comes to the heat of summer, and won’t falter. They grow large, with flowers up to four inches wide, and are great for bouquets! The peony is a gorgeously easy flower to take care of, coming in a variety of shades and usually sticking to whatever clump it grows from. It’s a high yielding flower, and even as a perennial, it’s long-lived both in the blooming season and overall. The ever-popular daffodil sprouts up in early spring, showing off it’s varying colors of white to red to yellow and blooming year after year. Ever reliable, this beauty is perfect for nearly any garden. This is a favorite all across America, showing up in media and the public’s gardens for years now. Simple, affordable, and small, these flowers mimic the iconic sunflower look without requiring large plots of land and growing taller than you. It’s even drought-tolerant, so you wont’ have to worry if you forget to water it! This lily is great for nearly every situation. It grows well in the gardens, blooms on strong stems that are great for cut bouquets. Try it out to decorate your yard and home throughout the spring and summer. The popular flowers that grow in shades of red to purple to yellow provide a spark of excitement in the fall, when all the other perennials are getting ready to go dormant. The hibiscus is a tropical plant that struggles in other areas, but the hardy hibiscus is built better. This hybrid suits nearly any garden, providing a tropical air to any spring, and blooming bright under the heat of the summer sun.